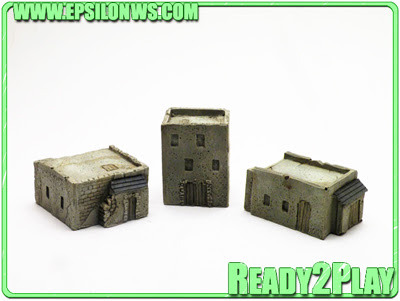 The next release from Escenografia Epsilon is this excellent trio of African buildings, all pre-painted and ready to go onto your table! We've got our stock of these here in the U.K. now, so these have been added to our website. As always, it's worth a browse through the Epsilon website and have a look at the other excellent products they have on offer.